There are a host of new weapons in the Destiny 2 Curse of Osiris expansion, but none are more powerful right now than the Exotic Prometheus Lens weapon. In this Destiny 2 Prometheus Lens guide, we'll be walking you through how to get the Prometheus Lens, as well as listing all the various benefits of having the powerful weapon in your arsenal. If you instead need anything else on Destiny 2's latest expansion, including how to access all the brand new content, as well as a comprehensive list of all the new item Shaders and ships in the expansion, head over to our Curse of Osiris guides walkthrough hub. 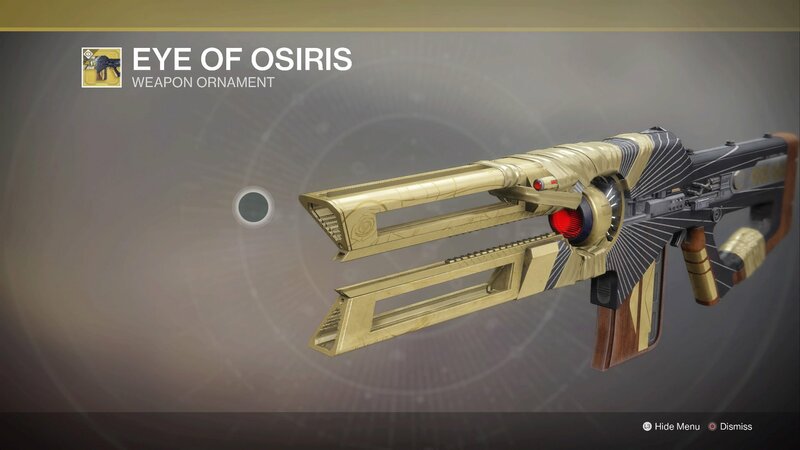 The Prometheus Lens weapon in the Curse of Osiris expansion basically functions like the Solar counterpart to the Exotic Coldheart trace rifle, which was a pre-order bonus back when Destiny 2 originally shipped. Whereas Coldheart is an Arc-based weapon, the Prometheus Lens weapon in Solar-based, inflicting heat damage on your enemies. This means that, just like Coldheart was when Destiny 2 originally launched, the Prometheus Lens is a killing machine in the Crucible. 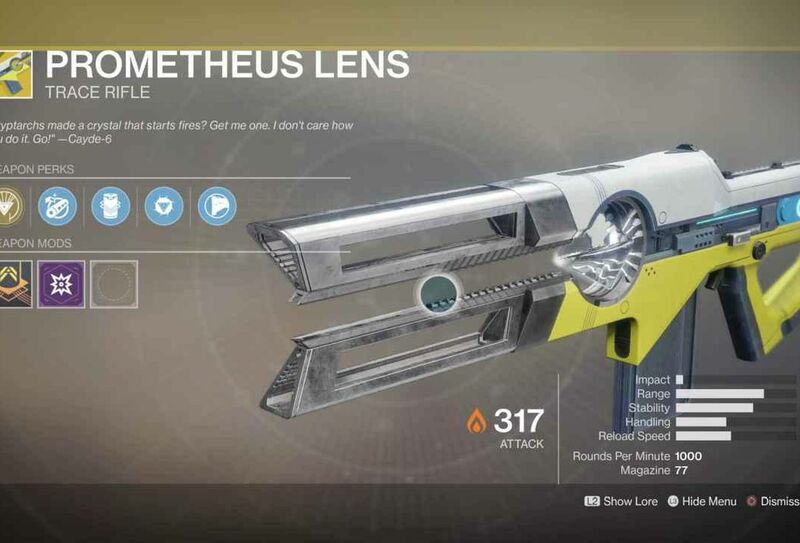 When you take into account the constant beam that the weapon fires, with basically zero recoil, the Prometheus Lens become one of the more deadly weapons in the game. However, this might be because the gun is actually bugged right now, as Bungie recently confirmed. Nevertheless, we imagine that the Prometheus Lens will still be one of the more powerful Exotic weapons in Destiny 2, whenever Bungie eventually patch the gun. So, how can you get your hands on the powerful Prometheus Lens weapon? Unfortunately, it's not a matter of completing a certain quest for an NPC, much like some of other Exotic powerful weapons in the base game are like the MIDA Multi-Tool, or the Rat King. Instead, you've simply got to recover an elusive Exotic engram, take it back to the Cryptarch, and hope that it rewards you with the Prometheus Lens weapon. However, we do have some ideas on how you can get your hands on a rare Exotic engram. You'll definitely want to undertake the weekly Milestone objectives (which now reset at 9 am PST), as well as completing Heroic Strikes and the Leviathan Raid as often as possible. Obviously the harder the activity, the better chance you have of obtaining an Exotic engram. While the above information still applies, right now Xur is selling Prometheus Lens for 29 Legendary Shards. If you need help on finding Xur, who will only be selling the Prometheus Lens until December 11, head over to our Destiny 2 Xur guide. We have a wealth of other Destiny 2 Curse of Osiris guides here at USgamer, including our guide on how to earn Mercury Tokens, as well as our complete guide on how to complete the Mercury Public Event.